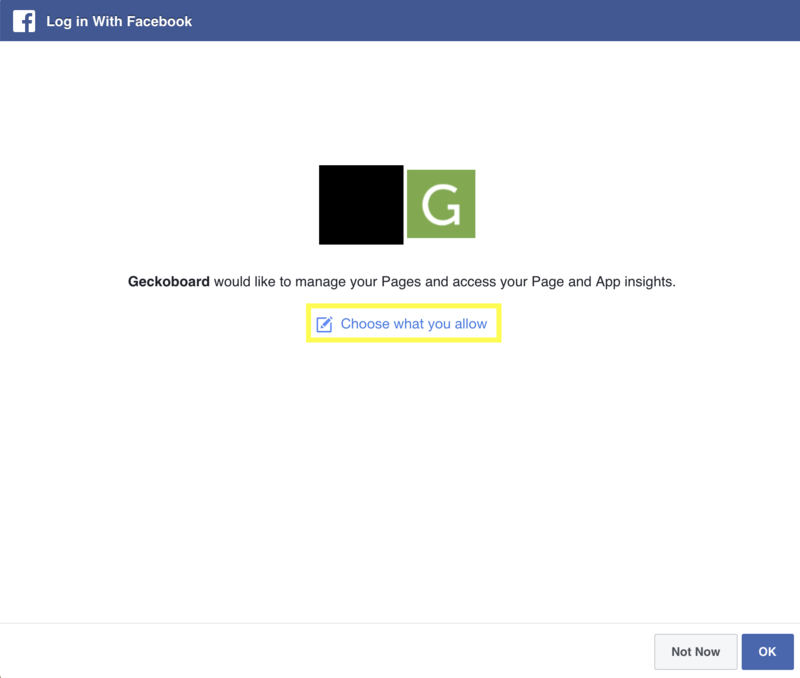 If you have already created a Facebook widget and cannot see all of your Facebook Pages, you may need to enable Geckoboard to manage specific Facebook Pages and allow access to App Insights. To do this, the Geckoboard app must first be removed from Facebook and re-authorized. 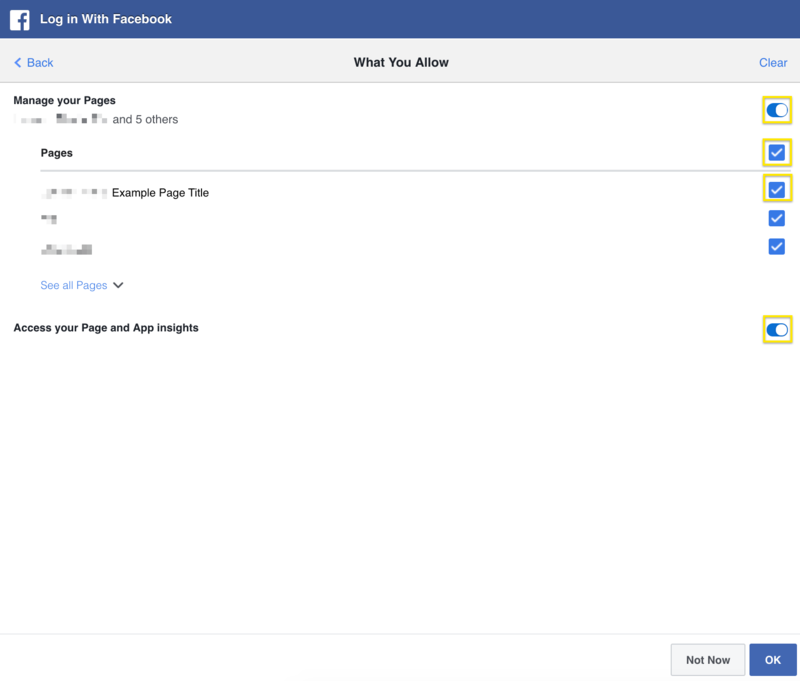 While logged into Facebook, click the downward caret  in the top right, then click Settings. Click Business Integrations on the left-hand menu. Find Geckoboard in the list of Apps, then select the checkbox. 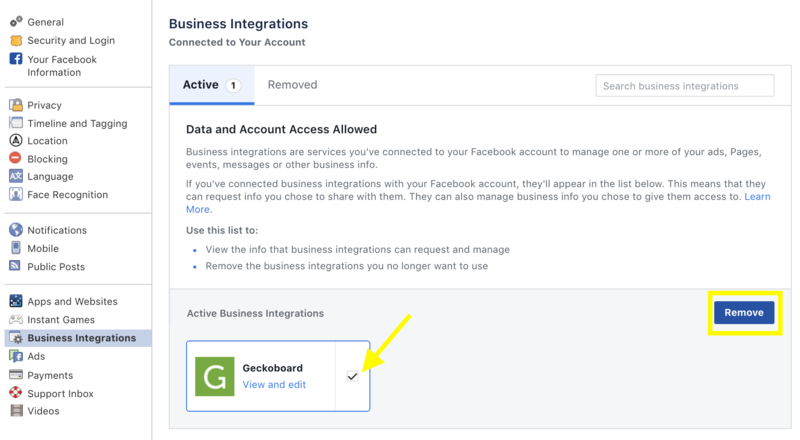 Now that the Geckoboard app has been removed from Facebook, return to Geckoboard and follow the steps below to create a new Facebook account connection. Follow the on screen instructions and log into Facebook when prompted. Configure your widget and click Save.